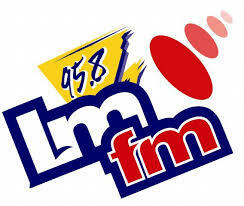 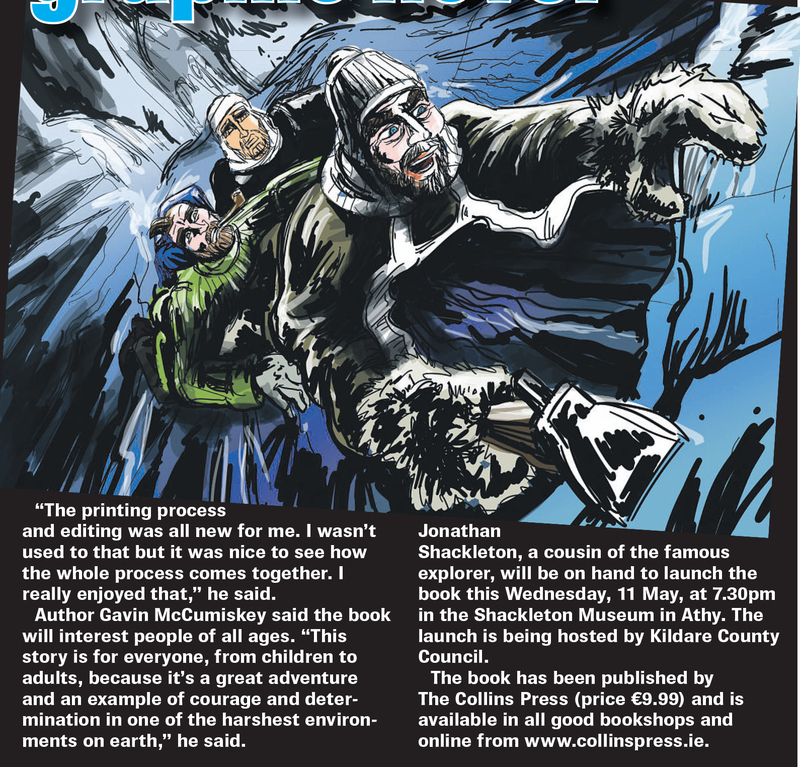 Gillian Hennessy Media & Marketing Executive at The Collins Press, Illustrator David Butler. author Gavin McCumiskey and Mario Corrigan Executive Librarian Kildare County Library and Arts Service. 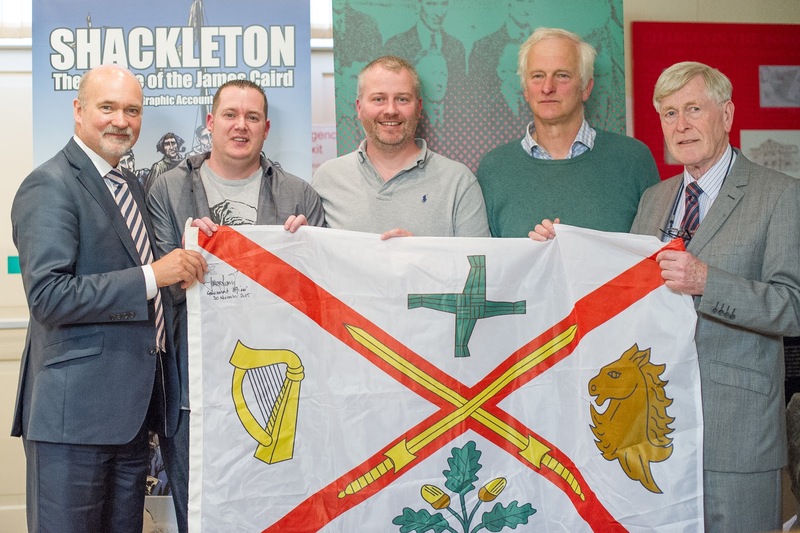 Kildare County Council Director of Services Peter Minnock, Illustrator David Butler, author Gavin McCumiskey, Jonathan Shackleton Historian and Frank Taaffe from Athy Shackleton Museum. 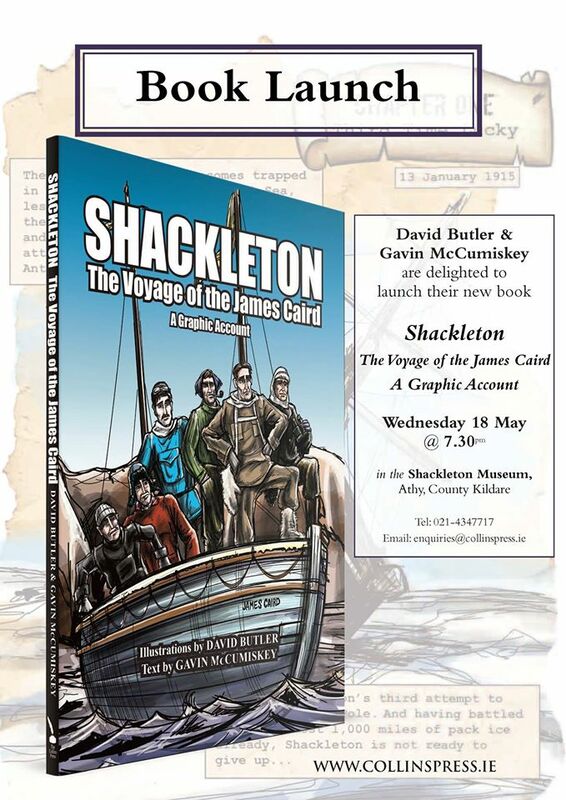 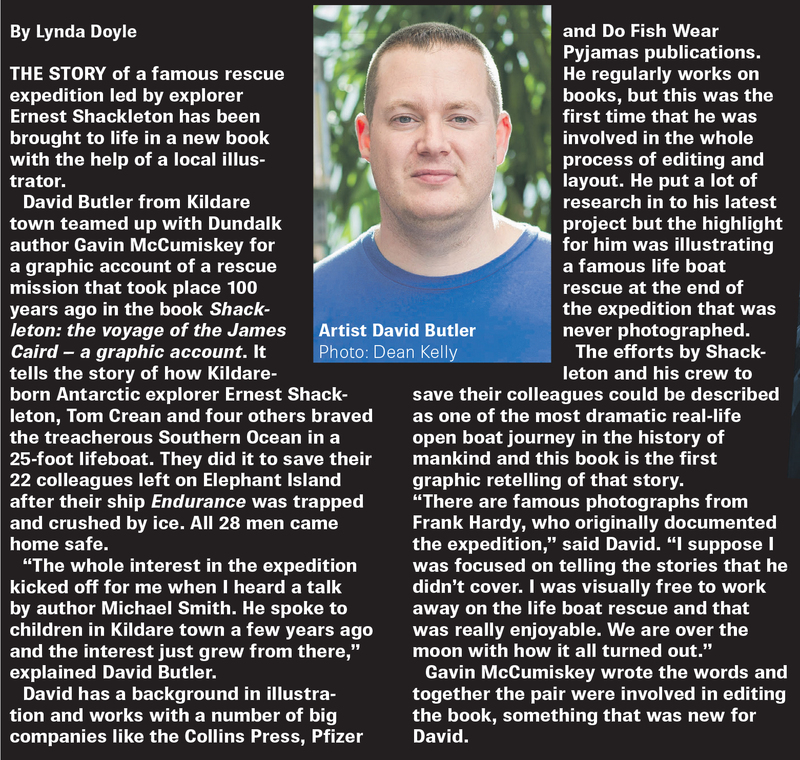 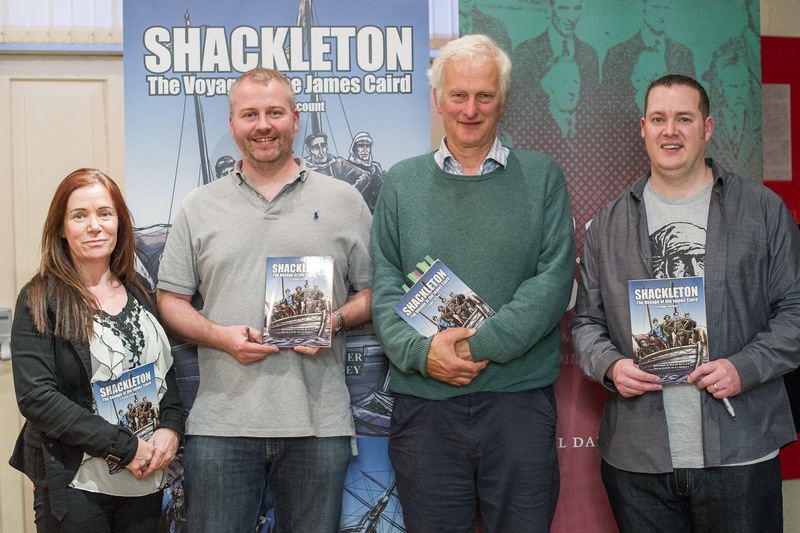 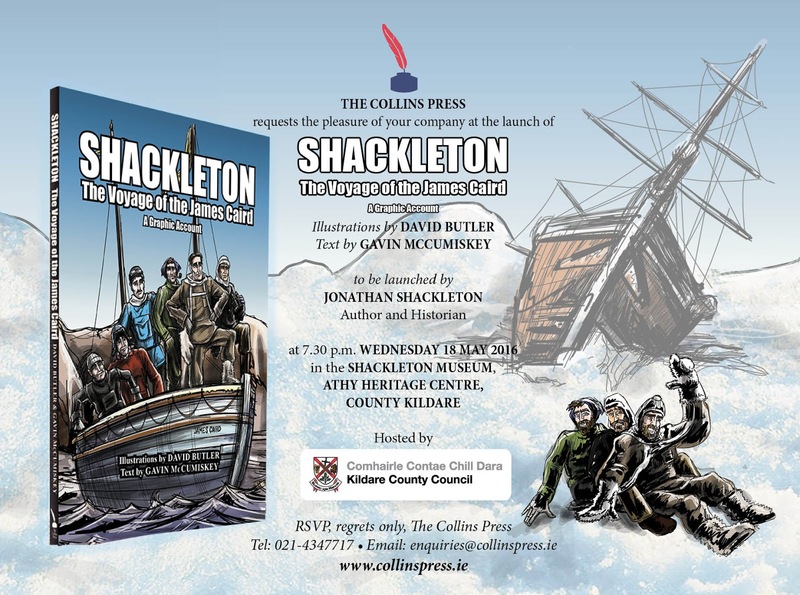 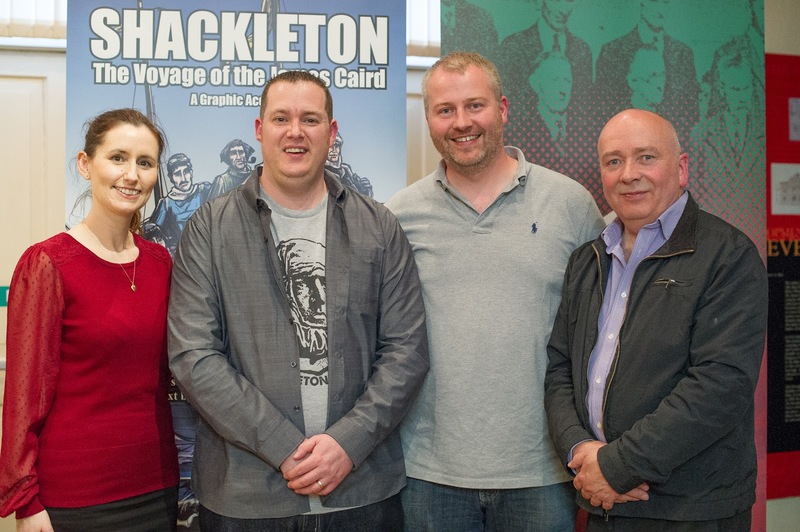 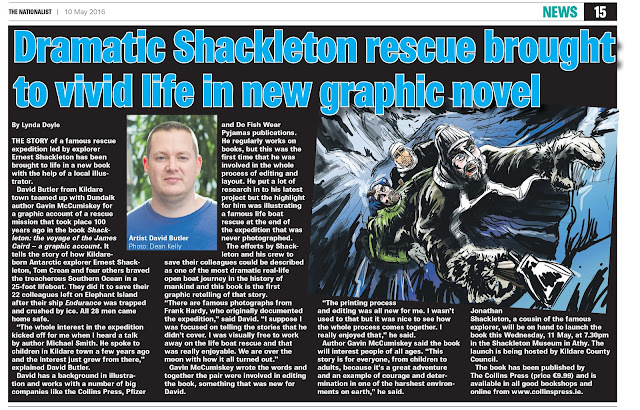 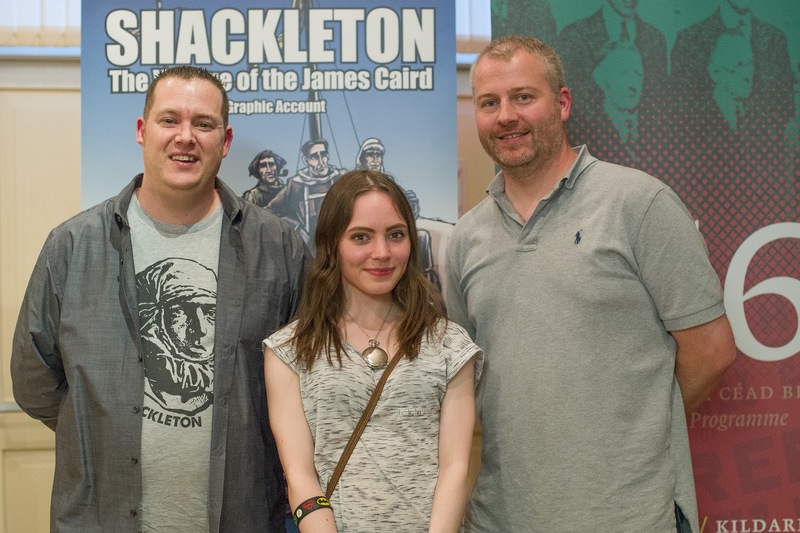 Today, we talked to Gavin McCumiskey, originally from Dundalk, was on the line to tell us about a new graphic novel he has released which recounts Shackleton’s incredible journey of bravery and resilience.